If you are a heavy smoker or live with or near one, it’s an arduous task to keep your home clean. 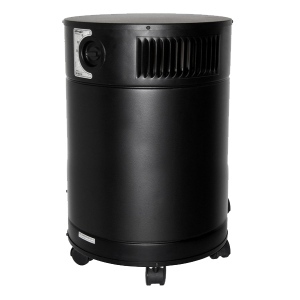 Normal air purifiers are not designed to remove the main components of tobacco smoke. These pollutants are actually quite smaller than most other particles, can adhere to carpets, walls, furniture and other household objects like bedding, and couches. You need to choose an air purifier tailored specifically for cigarette smoke and this exceptional is ideal as it also removes harmful chemicals, particles and lingering odors. It features a large deep-bed carbon filter, a tar-trapping pre-filter and a Super HEPA filter for particles. Since Smoking can be a somewhat continual and constant process, producing new particles all the time. You will need the AirMedic Pro 6 HDS because this powerhouse will continually combat and clean the air of dangerous chemicals and smoke.